This week’s Male Athlete-of-the-week is Theo Miller. 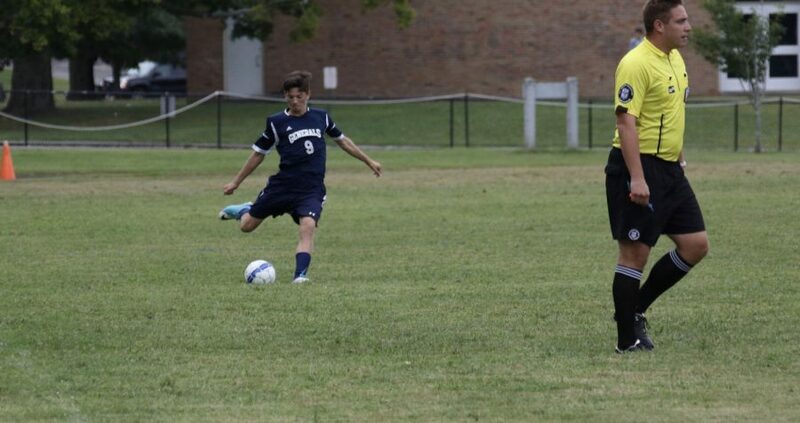 He plays for the Hamilton-Wenham Regional High School boys varsity soccer team. A sophomore, Theo play right wing and can be a starter for the team next year. This is his first year playing for varsity, and he is already contributing to their wins. Theo scored a goal during their game against Triton, helping to beat them, 5-0. This past year Theo made the transition from Freshman soccer to varsity. He said that the difference between the teams are huge because of the level. However, he has been able to match up with this fast pace and intensity and not give up. Theo’s determination towards playing with the HW Varsity Boys Soccer is the reason why we chose him to be this week’s Athlete of the week.